I panic as my mind catches up to what my body is experiencing. Suddenly I realize I am no longer surfing a remarkable wave. I am completely upside down, my torso submerged, tossed in the throttle of the rapid. I fight the river’s current, pushing my paddle through the swirling water into the position that will get me back to breathing. I curl my body around the kayak and swiftly snap my hips. I roll up, relieved. My helmet wiggles side to side as I shake the water from my ears so I can hear my fellow kayakers. I pat the top of my helmet to signal that everything is all right. The last time I kayaked Oregon’s Rogue River, I sat on its rocky banks and watched as my fellow paddlers descended through the narrow channel of whitecaps. I questioned whether I would do it myself. I was the only kid on the trip among more experienced adults and running that rapid certainly was not required. I could have easily hopped on the raft and ridden it safely to the end. I looked down river where the others waited patiently for me to make up my mind. The longer I stared at the rapid, the more complex it became. As time dwindled away, I knew I must decide. I asked myself: what is the worst that could happen? 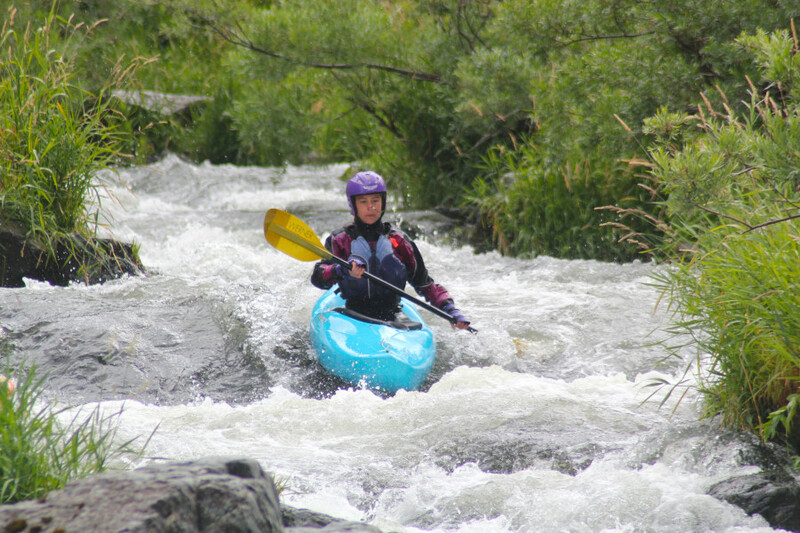 Kayaking is a crazy sport where people choose to send themselves down frothing white-water rivers in tiny plastic boats armed with just a paddle. 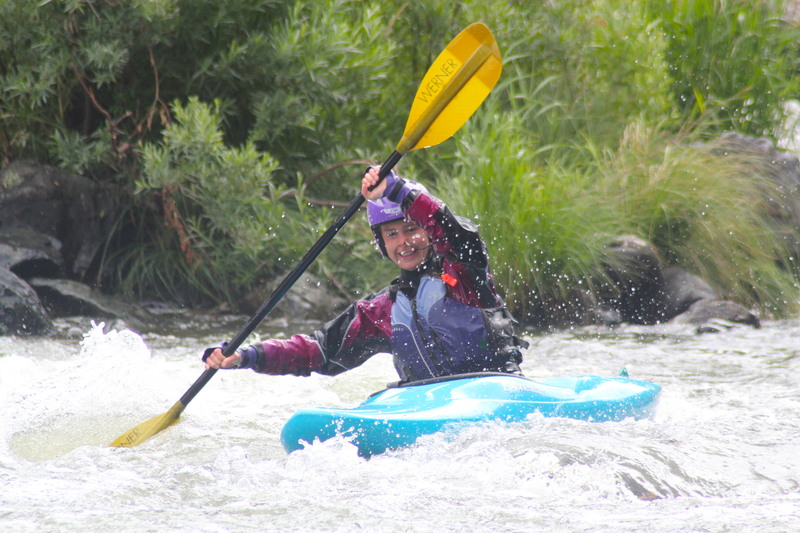 I choose to kayak because of the way my heart pulsates with excitement each time I approach a rapid. But what differentiates thrill from sheer terror is the knowledge that, like for life itself, I am armed with much more than just a paddle. In addition to being intrepid, I have had to develop solid skills. In this sport, the consequences of not being prepared are instantaneous and dangerous. Countless hours of forcing myself to flip over into chilly rivers, repeatedly practicing hip-snap rolls, and drilling my brain and body to remember how to get back to the surface have helped me hone the skills I need to survive. 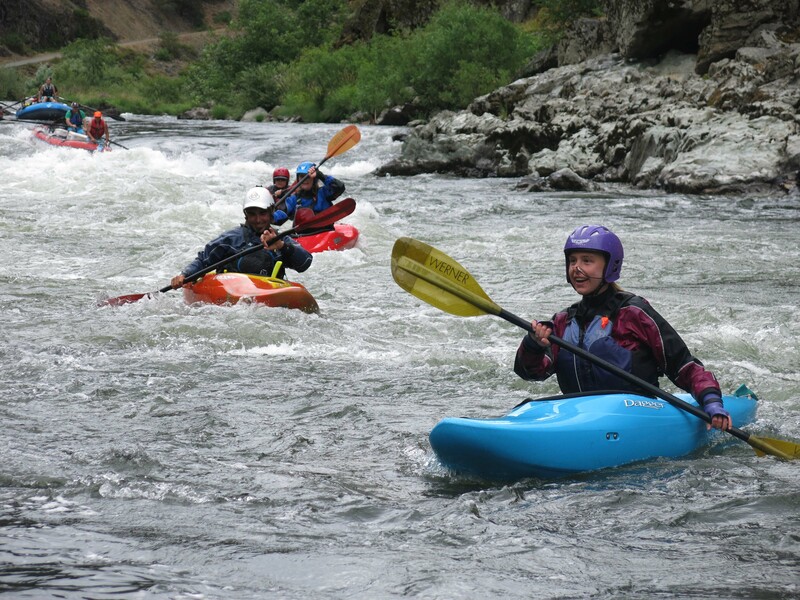 My instructors make maneuvering through challenging cross currents look effortless, but I have learned that there are no short cuts to doing so myself. As I measure my progress, I accept that I will never fully master kayaking. Each time I learn one set of skills, I realize there are still thousands more. Yet that is another allure of kayaking. It forces me to acknowledge my limits and entices me to push past them. As I take on greater risks, I also depend upon the support of other kayakers. Even though I am alone in my boat as I run a river, I never truly paddle alone. Every time I enter a new rapid, I know a community of paddlers supports me. 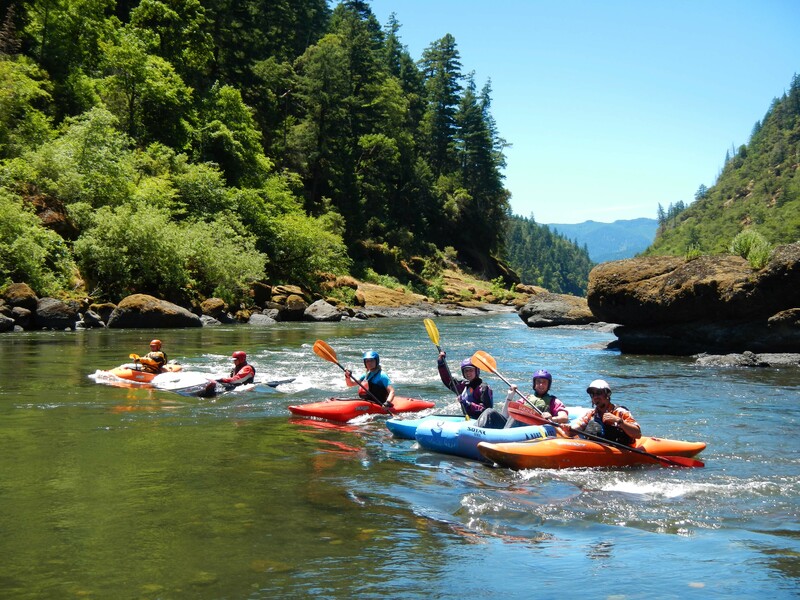 Many are two and three times my age, but we are united across generations through our shared love of river adventures. 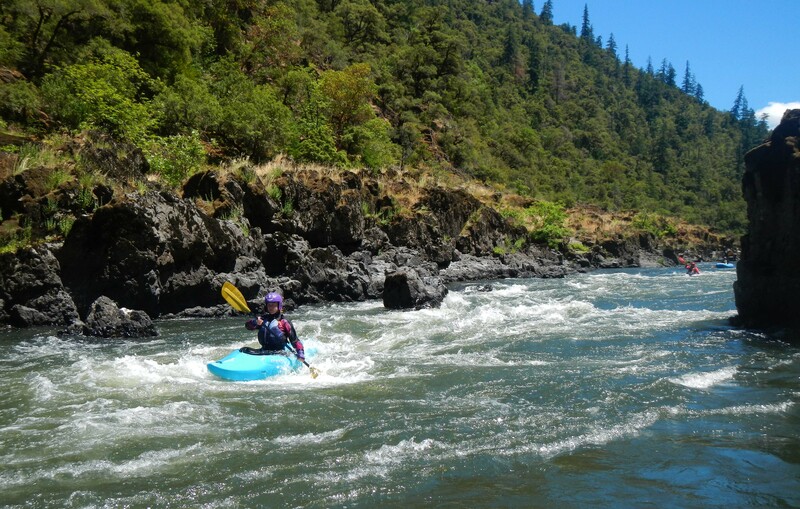 For me, the thrill of the rapids are intertwined with being enveloped in nature; sharing the wild rivers with bald eagles soaring overhead and bears roaming the banks for berries. On extended river trips, I eat open-fire cooked meals while perched on rock piles, curl up in a sleeping bag under a star-flooded sky, and am lulled to sleep by the river’s perpetual murmur. I anticipate waking up in the mornings, to face the unknown of the next big rapid ahead. Sitting on that rocky bank, I looked at the rapid ahead and again asked myself: what was the worst that could happen? I knew I had the skills to survive and that my paddling partners would rescue me if needed, but still I sat there. The root of my internal debate was simply fear. I needed to be brave enough to put myself into a rapid that could spit me out upside down, or worse, not spit me out at all. And there in lies the challenge: I would never know the joy of riding the choppy wave train if I did not leave the security of the calm water and put myself into the risk itself. With a nod of respect to the river’s power, I grabbed my paddle. Armed with the bravery, skills and support I needed, I pushed my kayak out into the current. Humming a tune to distract the pounding in my chest, I dug my paddle into the first wave, thrilled with its splash on my face and prepared for whatever is yet to come.